BackVintage Wines Australia have generously offered to sponsor the Cavalier 28 Race Series again for 2012/13. They will provide 1 bottle of BackVintage fine wine per race to the winner on scratch plus a further 3 bottles to the handicap place-getters. These awards will be made after the second day's racing of the NSW State Championships (as far as they have accumulated at that point). 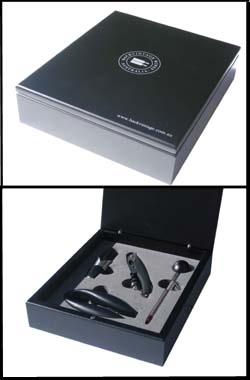 BackVintage Wines have provided a wine gift box to be awarded to the most improved yacht over the season.